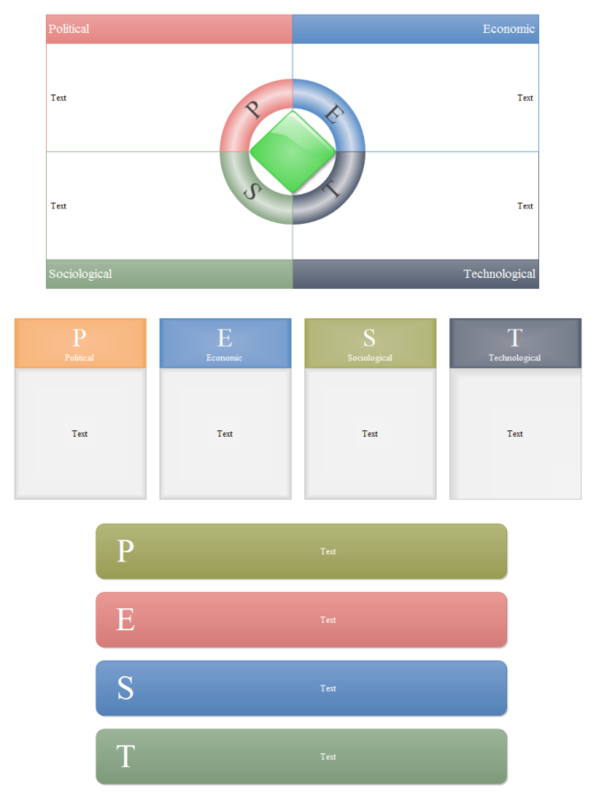 Description: A free customizable pest chart template is provided to download and print. Quickly get a head-start when creating your own pest chart. The political, economic, social and technological perspectives are clearly separated by different shapes.